Actor Prabhas is impressed with the teaser of Kabir Singh, which is the Hindi remake of Telugu film Arjun Reddy. The Saaho star says that Shahid Kapoor looks better than Vijay Devarakonda. Arjun Reddy is a romance drama, which has been written and directed by Sandeep Vanga. The film is about a brilliant yet impulsive young surgeon falls into a path of self-destruction after the love of his life is forced to marry another man. The movie has become a blockbuster success at the box office. After this huge success, the director is remaking it in Hindi and there is a lot of curiosity about Kabir Singh. After seeing the massive craze, the makers recently released the teaser of Kabir Singh, which has not only struck a chord with the audience, but has also doubled the expectations about the film. The first look video shows that the Hindi remake is going a frame-to-frame copy of Arjun Reddy. But what has struck the most in this video is the energy of Shahid Kapoor, who is reprising the role of Vijay Devarakonda. 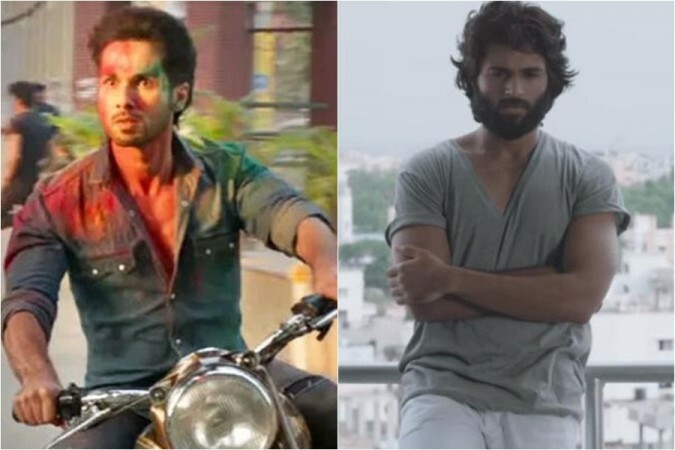 Many viewers felt that Shahid Kapoor looks more furious energetic than Vijay Devarakonda. Baahubali actor Prabhas has a similar feeling about the Bollywood actor. According to sources from the industry, the actor spoke to Shahid over the phone and praised him soon after watching the teaser of Kabir Singh on the sets of Saaho in Hyderabad. "I was by the side of Prabhas on the sets of Saaho in Hyderabad. This is when the Teaser was released. Since Prabhas was impressed, I called up Shahid and helped the duo to talk. He feels that Shahid is better than the male lead of the original Arjun Reddy," Hakim Aalim, who is Ram Charan's hair stylist for RRR, told IndiaGlitz. Kabir Singh has been jointly produced by Cine1 Studios and T-Series. Kiara Advani is seen playing the female lead opposite Shahid Kapoor in the film, which is scheduled for a theatrical release on June 21. The movie is expected to be an even bigger success than its original version Arjun Reddy at the box office.